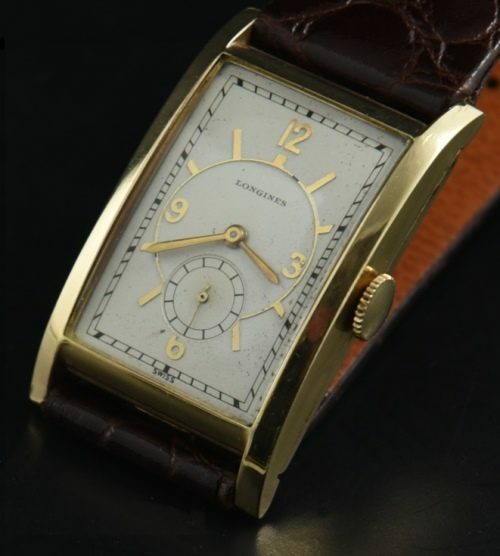 This Longines is quite fine; being rectangular 24x40mm. in a pristine gold filled case which is rather large, long and wide dating to 1937. 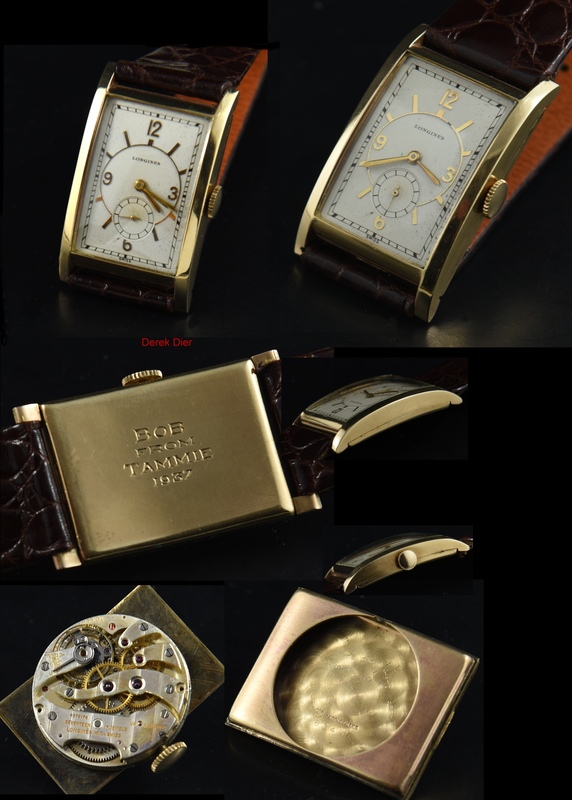 This really interesting dial with original raised gold markers and Deco Arabic numerals was restored many many years ago… and looks spectacular! This is a sprawling watch on the wrist. Longines watches are under-valued at this time (in my opinion). Priced extremely well.